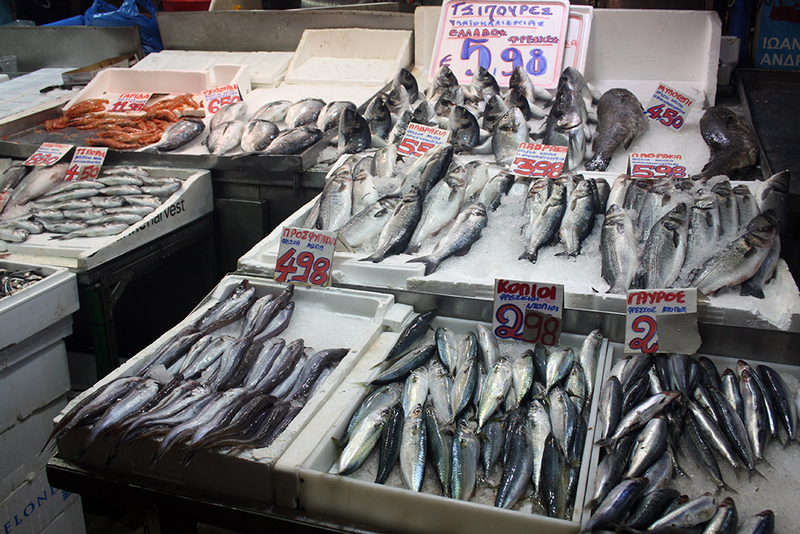 Recently, I accompanied a new friend to the markets in Omonia and I managed to take a few wonderful pictures. (waves hello to Chris!!). The picture above is from the fish market downtown. This past weekend (heatwave weekend!) 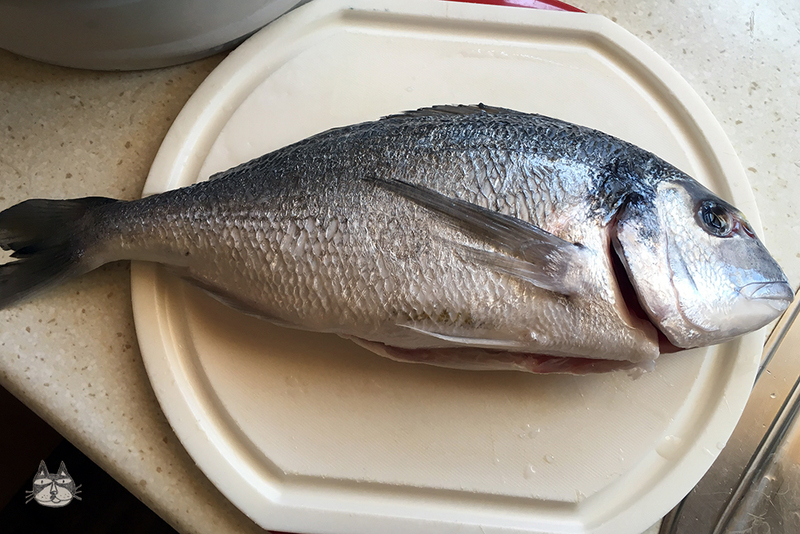 the husband bought for us fish from the local fishmongers, and the fish is called τσιπούρα (tsipoura) or gilt-head sea bream. 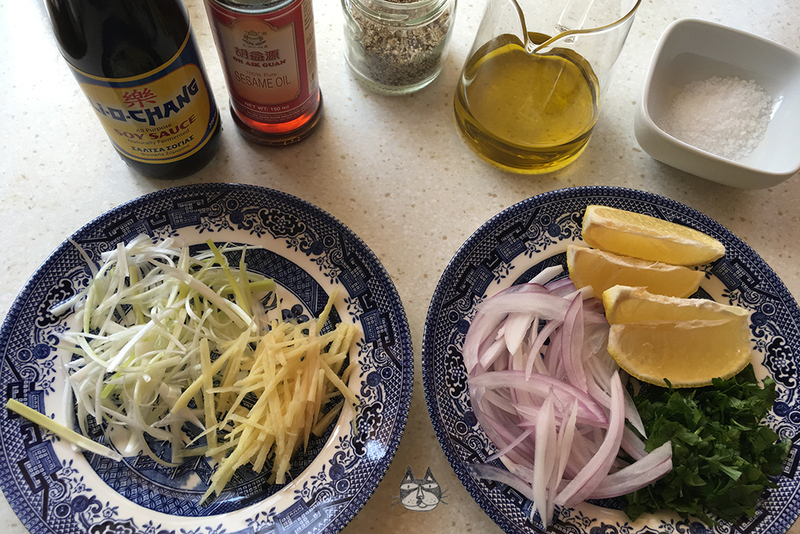 Tsipoura is excellent grilled, and this is how I usually make it at home. I decided to shake things up a bit, and make it both the Greek way (West) and an Asian way (East). 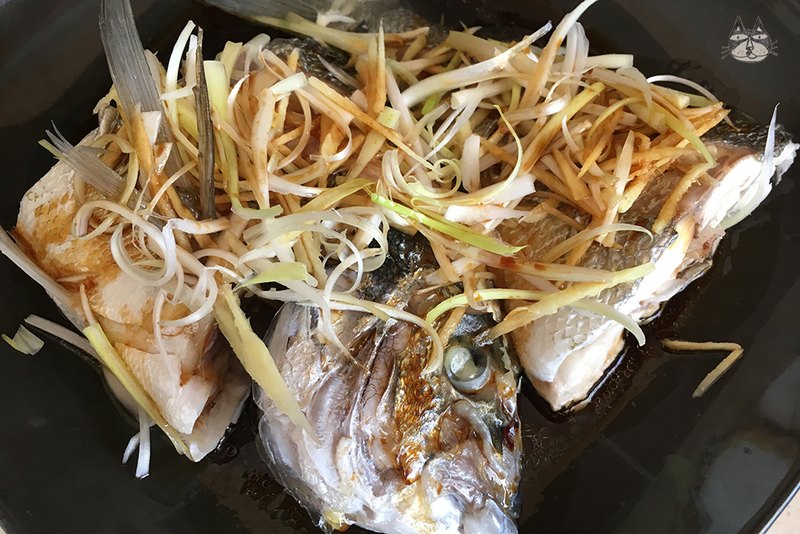 Growing up in Malaysia, whenever we went to a Chinese restaurant, what I remember clearly is the wonderful steamed fish that is simple yet flavourful at the same time. 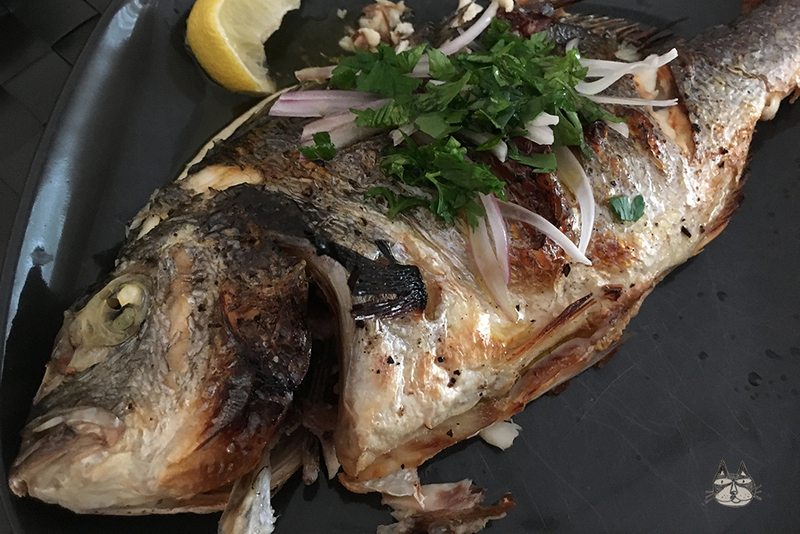 Since tsipoura is a light fish, it is okay to steam. 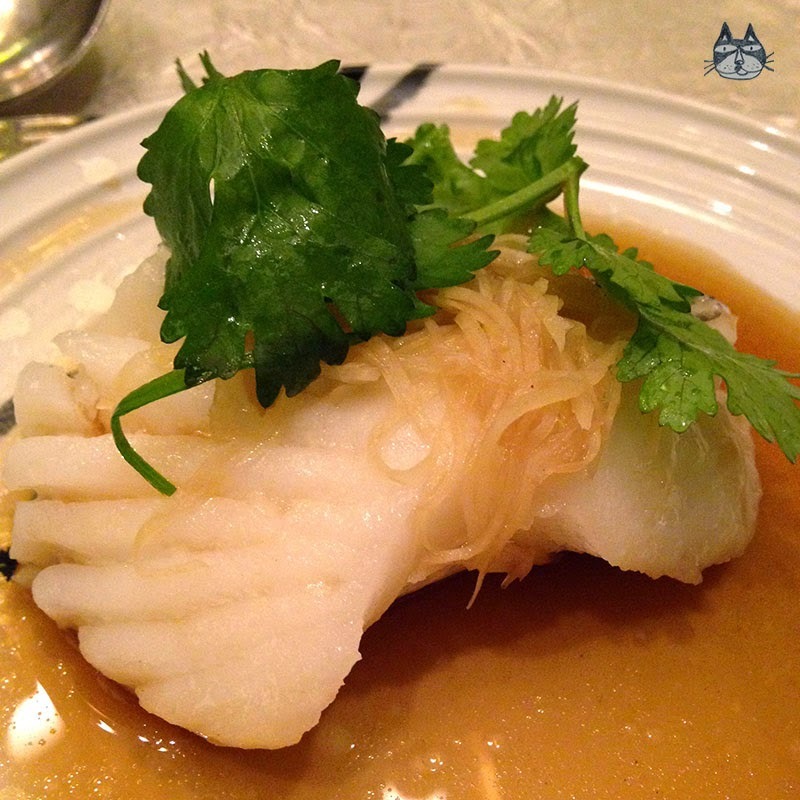 I have posted about a treat I had at Lai Po Heen Mandarin Oriental Kuala Lumpur (click here for the #makanmakanayin post) and here is the picture of the steamed fish that I had back then. Looks simple but tastes yummy. I decided to do the same with the tsipoura. I took inspiration and adapted from a cookbook I borrowed from Omaira (waves hello to Om!!!) and I have to say, I am rather proud of myself for this east and west meal that I made. Hope this is inspiring to you as it was fun for me to make! Find the recipes below!